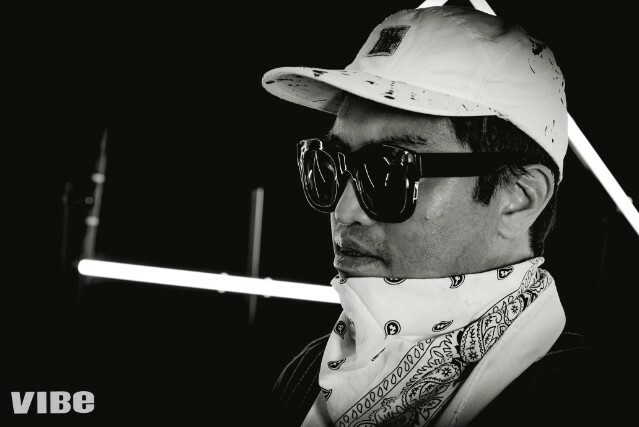 Chad Hugo is the antithesis of how one would expect a world-renowned producer to act. 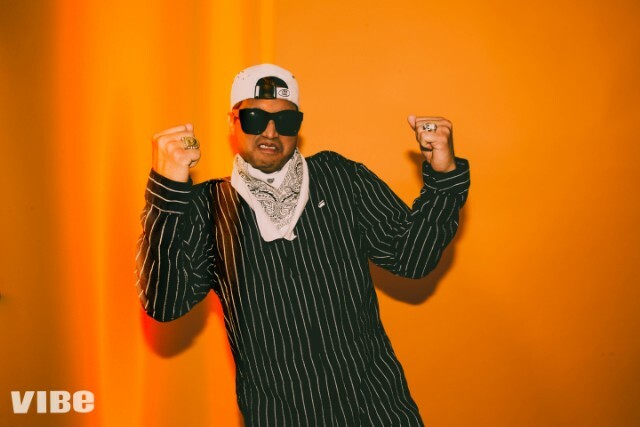 Despite being one-half of one of the most lauded music production duos of all time, The Neptunes, the Virginia Beach native’s muted demeanor is a stark contrast to the notoriously gritty music scene. Evident by his decades-long career as a beat maker, he truly comes alive through creating sounds that have been loved the world over. Hugo, who strolls into VIBE HQ on Friday, Jun. 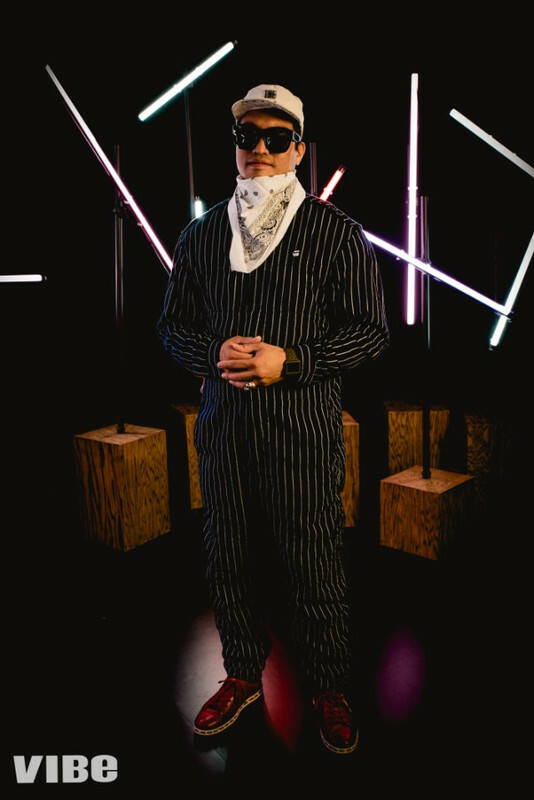 1 with an assortment of costume changes and a subtle smile, is famously modest; you won’t catch him around press as often as his creative counterpart, Pharrell Williams. However, with a deejaying set later that night at Lot 45 in the Bushwick area of Brooklyn, a then-upcoming weekend performance at Governor’s Ball at Randall’s Island and some new music of his own in the works, there was more than enough for him to talk about this time around. The 44-year-old grew up listening to a wide assortment of sounds and tunes. He says his mother was a big Diana Ross fan, which gave way to his admiration of funk, pop and soul. Additionally, he enjoys jazz artists like Herb Alpert and the compositions of Rodgers and Hammerstein, whose work can be heard in the musical The Sound of Music. “I was a fan of Bebop and [John] Coltrane, and things like that,” the multi-instrumentalist says during our photoshoot. He’s peering out through his signature dark sunglasses, and details that music was always something of interest to him. 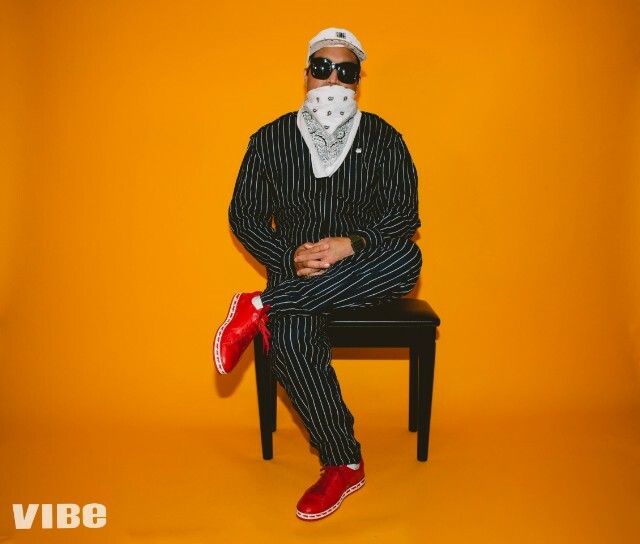 “I played tenor saxophone in high school, and I was really into the recording aspect of things, so I thought I invented the 4-track when I was in fifth grade… But I’d tape my boombox over and over again, there was a fascination with it.” When prompted about his favorite beat he’s produced for others —after some time to think— Hugo revealed he’s a fan of the work he did on Justin Timberlake song “Supplies” off of the singer’s latest effort, Man Of The Woods. “That’s correct, [The Neptunes] have been around since the ‘90s,” he grins. The good times continued to roll with the 2017 release of N*E*R*D’s No_One Ever Really Dies, their first full-length album in seven years. Through the release of the group’s fifth-studio album, fans were blessed with videos and songs such as “1000” featuring Future and “Lemon” featuring Rihanna, which spawned the viral #LemonChallenge that took over social media. Additionally, the group worked with Kendrick Lamar, M.I.A., Andre 3000, Wale and more to bring the music to life. These acts, exposure at music festivals and events such as the 2018 NBA All-Star game contributed to bringing N*E*R*D’s tunes to people who may not have heard their music before. “I could hit record, you know, and just let people do their thing,” he says. “If you were playing the flute, I’ll record you playing the flute, and we’ll make some music together. It’s like band camp.” An aforementioned fact about Hugo is that, yes, he is quieter than most. Does this pose any issues for him in the future when it comes time for self-promotion? The musician certainly doesn’t think so, and he has social media to thank.